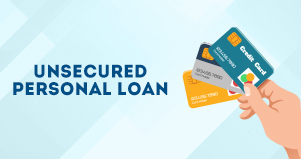 An unsecured loan is a loan which is issued by the lender on the basis of borrower’s credit line and not on the asset ownership. Such loans don’t require any collaterals to get a personal loan. Usually, the credit score of the borrowers is checked and the loan is solely approved on the credit history. Credit cards and quick loan via the loan app are great examples of unsecured loans. The money directly gets debited from your account. Getting a credit card is easier these days but might take few days or weeks for the entire procedure. Whereas the personal loan via the loan app is a quicker way to get a loan. You don’t have to personally visit any branch, this makes quick loan very interesting and convenient. The process remains completely private between you and the lender. No third party has to know about it. You can get a personal loan on the same day of application. The amount is directly transferred in your personal savings account once the loan is approved. The application process is quite simple. Quick loan app provides loans with minimum paperwork. 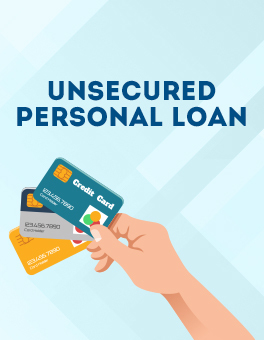 People take personal loans for many reasons such as to cover their home repair expenses or car expenses, to buy a new asset or phone, for a vacation, for festival shopping, balance transfer and so on. You don’t have to state the reason to avail an unsecured loan. The documents required by the quick loan app are basic and are available with most of us. One has to submit your identity, address and income proof documents. For your identity proof, your passport or aadhar card or pan card or driver’s license will be valid. As your address proof, you can submit a passport or rental agreement or utility bills. Your bank statements and salary slips for 3 to 6 months will be required to avail a quick loan. Finding a personal loan app which has a quick application process is the first step. Apps like CASHe are one of the online lenders available in the market. You can research for more such apps which provide unsecured loans at a faster speed. You can download the loan app on your smartphone and register yourself with your basic details. Once the registration is completed you can enter the required quick loan amount and the duration of the loan. The next step is to upload the documents required for the process. These unsecured loan apps take some time to study and verify your documents. Once your application is approved the amount is directly transferred to your personal account. The interest rates charged on the quick loan is competitive since they are short term loans. Everyone can get a personal loan as long as you are a salaried employee with a registered company. The minimum age requirement by the unsecured loan apps is 23 years old and the maximum is 58 years old.